There are people who adore haggis and those that don't appreciate it so much. And I'd hedge a bet that 70% of those in Camp No can't bare the idea of it rather than relate their dislike to the taste. Which is daft as these people are probably happy to trough down plates of cured meats, rare steaks and sausages by the truckload. When you think about it, haggis really isn't too far removed from those foods. It's just Scottish charcuterie if you like. An interesting point raised at a very special dinner organised by MacSsween Haggis I attended recently. Luckily, I'm firmly in Camp Yes for haggis as there were six courses of the gorgeous stuff to get through, crafted by the wonderful Coal Shed. 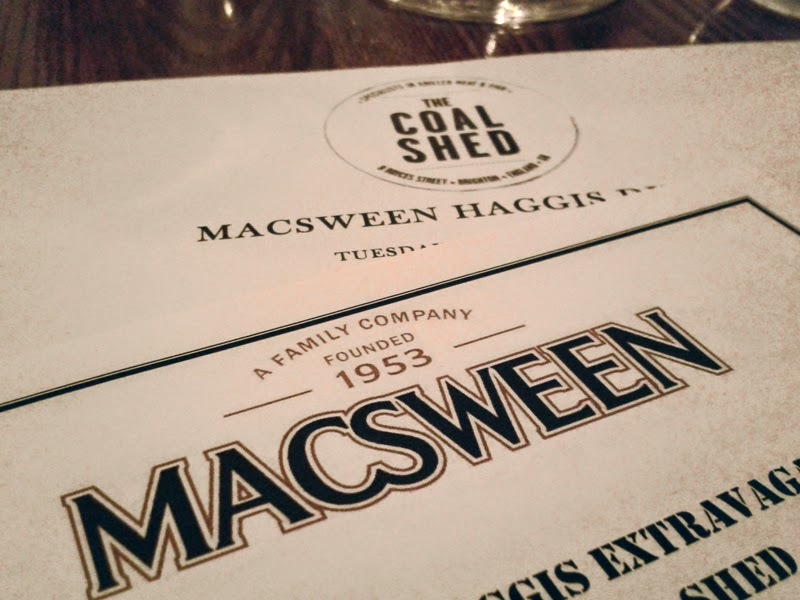 Haggis was incorporated into dishes that complemented the variety flavour, some of which are new Macsween products like Wild Boar, Venison, Three Bird and we even sampled an unusual Chocolate and Chilli Black Pudding. Each dish was washed down with not one, but two paired drinks (God bless the Scots). These were selected by Dave Broom who went for the expected whiskey, ale and wines, to the more unusual pairings of tequila and sherry. Some worked really well, others created conversation but that's what it's all about! 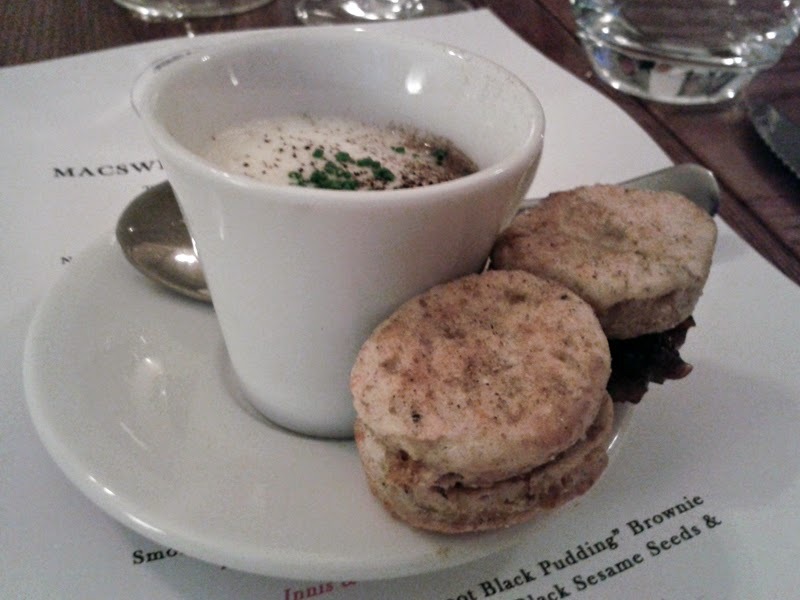 Neeps N’ Tatties Cappuccino with “Moroccan Spiced Haggis” Scones, Chicken Liver Mousse & Onion Jam. Paired with: Villa Maria Private Bin Riesling 2013. 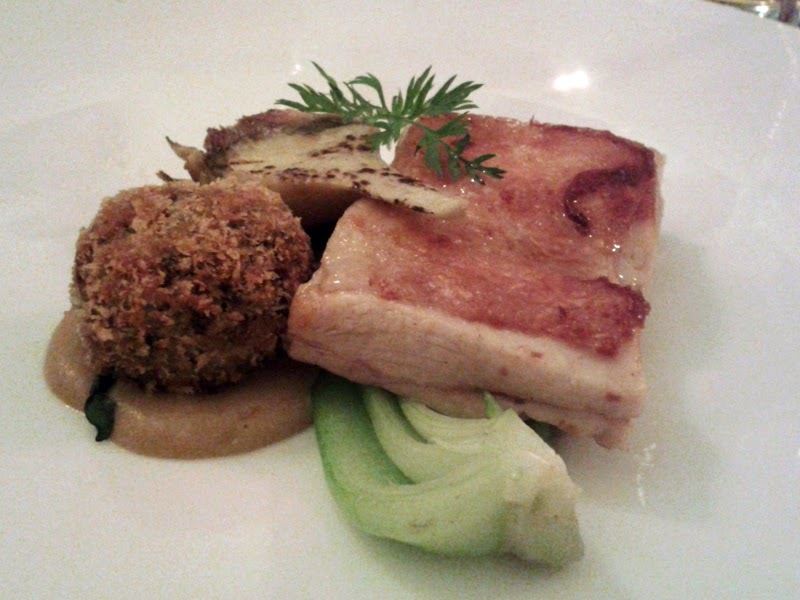 Confit Chicken Thigh, Artichokes, Coffee, Bok Choi, Crispy “Traditional Haggis” & Chicken Consommé. This was brilliant paired with the Tio Pepe Fino Sherry, but I love sherry. 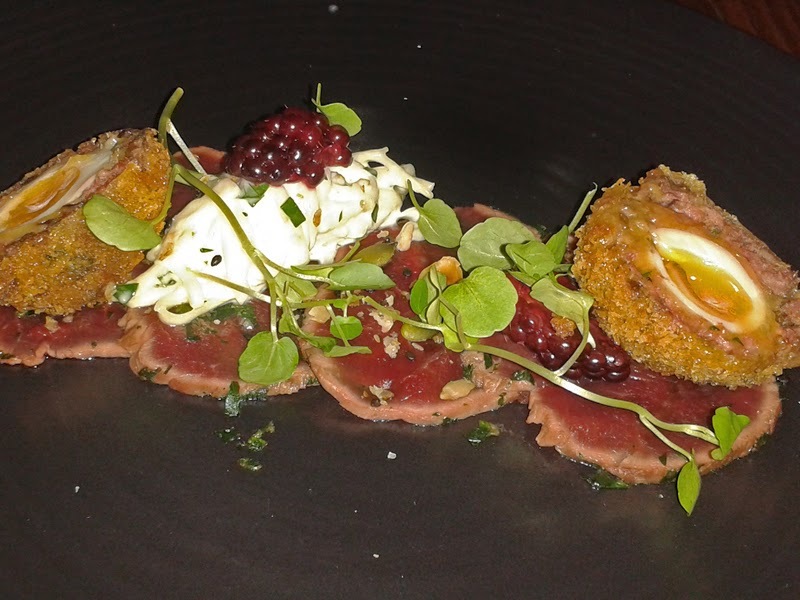 Venison Carpaccio with “Venison Haggis” Scotch Egg, Celeriac, Blackberry, Seeds & Nuts. Paired with: Glenmorangie Quinta Ruban. 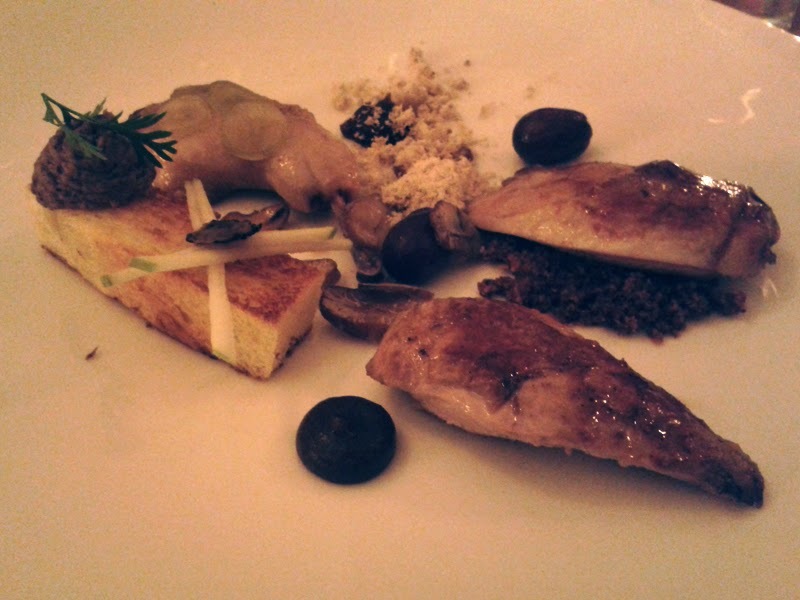 Smoked Quail & “Three Bird Haggis” Paté with Truffle Toast, Burnt Apple, Chestnuts & Grapes. Paired with Innis & Gunn Toasted Oak IPA and Don Julio Reposado, which I didn't get on with. Maybe tequila at this stage was a bit too full on! 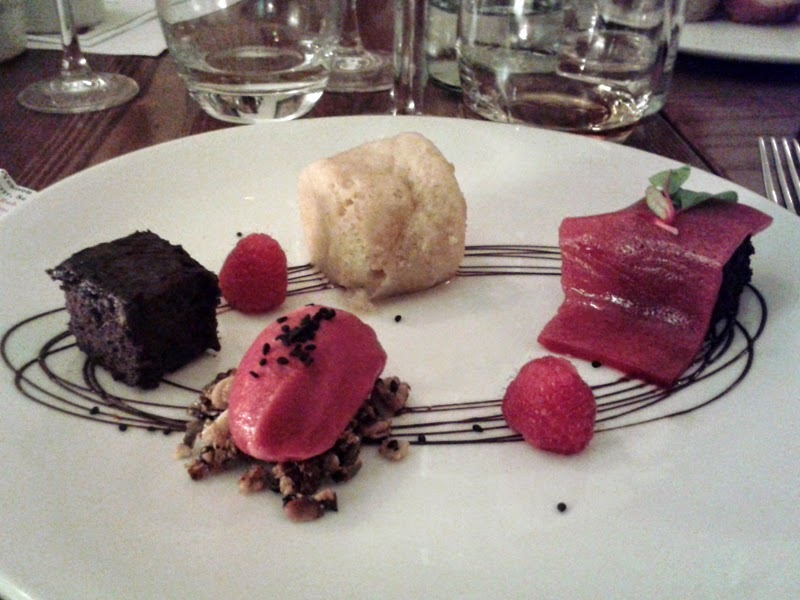 “Chocolate, Chilli & Beetroot Black Pudding” Brownie with Whisky Baba, Raspberries, Black Sesame Seeds & Oatmeal. Particularly great with Havana Club 7 Year Rum but even better with the Sam Smith’s Taddy Porter. The Macsween story is also rather lovely, celebrating their 60th anniversary but still firmly a family business. 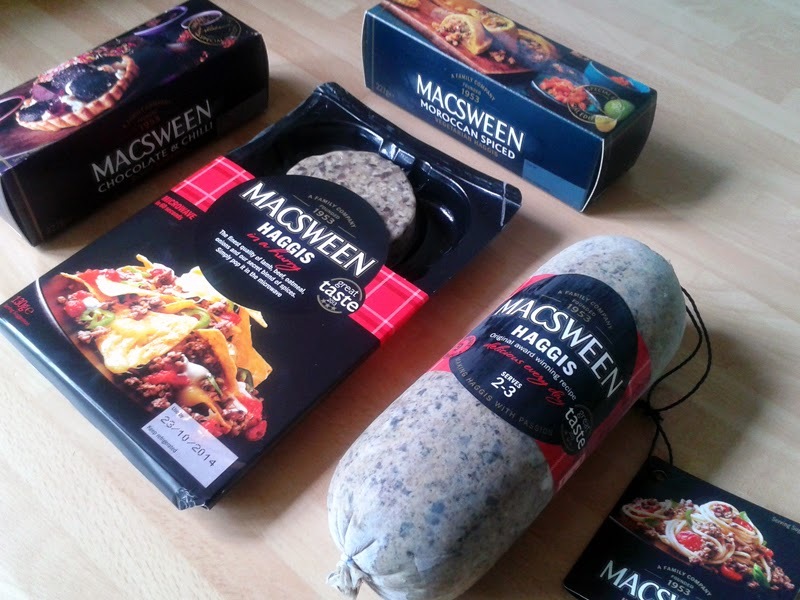 The original Macsween Haggis was created in the family butcher shop in the 50s to the grandfather's own recipe. This is why Macsween Haggis doesn't contain the expected liver, it's just that Charlie Macsween didn't like the taste – fair enough. Today, the company are championing the introduction of haggis to a wider audience and are doing it extremely well. Even the format of the packaging has been remodelled from a traditional stomach shape (this is still available in farm shops and butchers) to a more consumer-friendly sausage shape. Purists may balk but it's a smart move. They also offer haggis in quick cook packs and smaller serving formats too. I was sent away with a bag groaning with Macsween products and a challenge to create some dishes, something I'm really looking forward to. Expect a post up soon, I'm thinking of giving it an Italian twist obviously! I was a guest of MacSween Haggis.